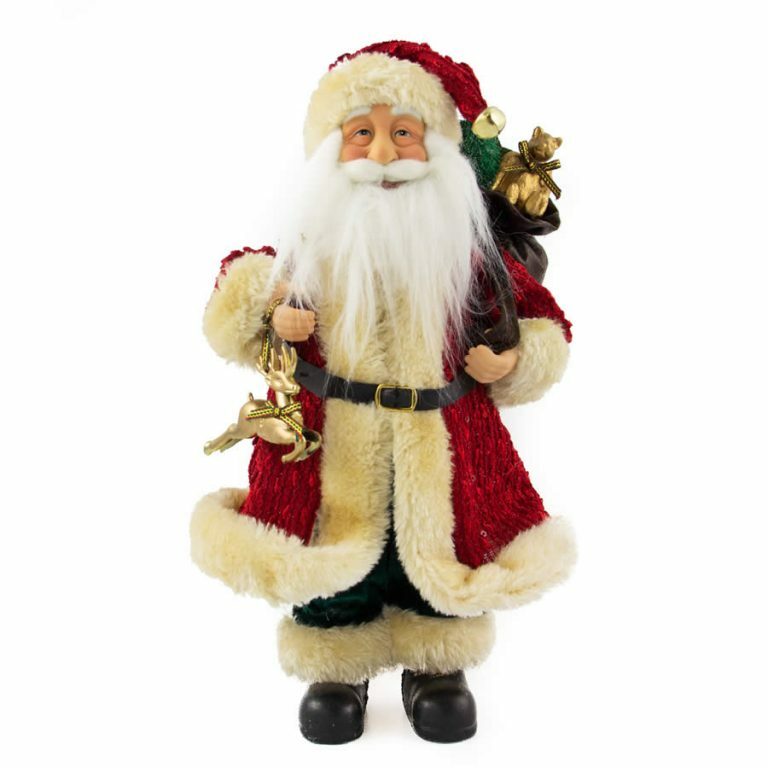 The Cartoon Style Jumbo Reindeer holding gifts is the perfect companion to the Jumbo Santa also offered, and sold separately. 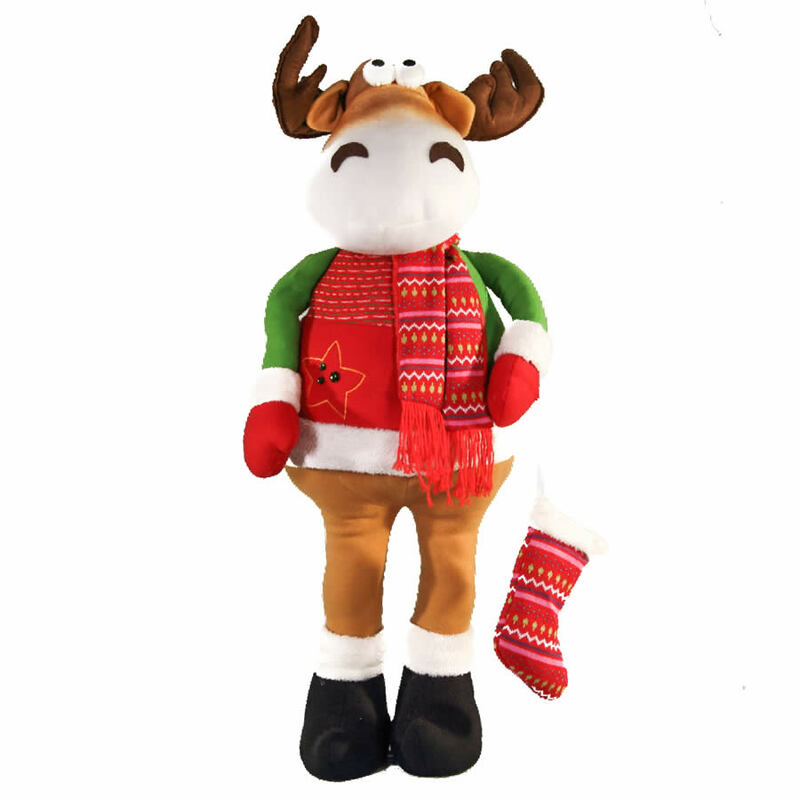 Measuring approximately 35cm wide by 120cm in height, this plush, fabric reindeer is a wonderful component to your Christmas displays and ensembles. There is something about this charming reindeer that will make you grin- whether it is his large, googly eyes or the soft brown antlers, this delightful reindeer is the perfect accent to place near a door or front-window of the home to share with neighbors and passers-by. 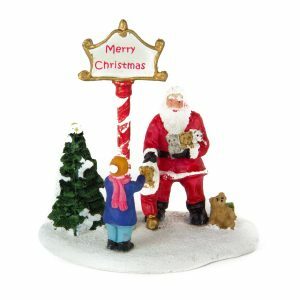 The colours of the reindeer’s sweater are traditional red and green, and he wears dark boots on the end of each long, lanky leg. 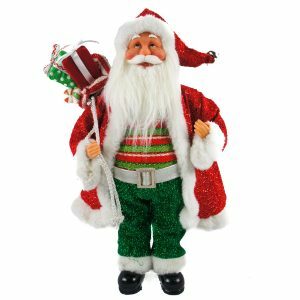 He carries brightly coloured packages to share with his holiday friends, and your guests will find themselves smiling at the sheer sight of this comical fellow when they visit your home during the Christmas season.